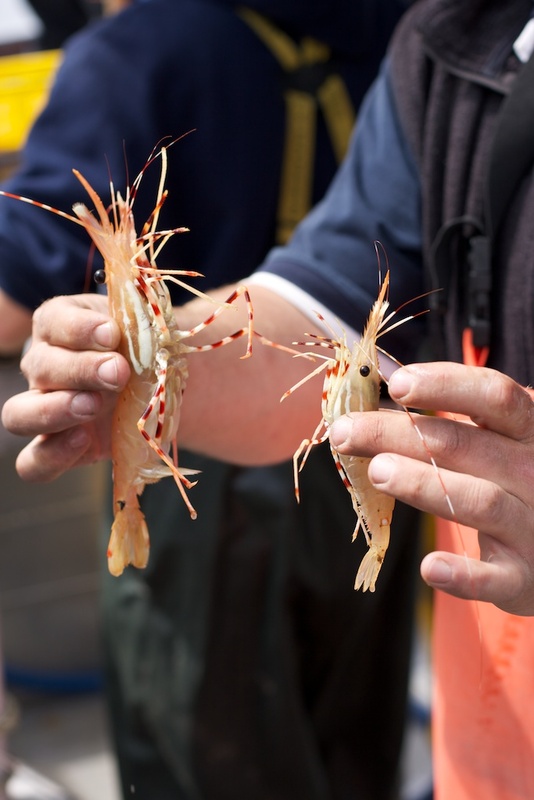 We wait patiently every year for this season to arrive – Spot Prawns! Only available for 6-8 weeks every year starting in May, they are sustainably caught off the west coast of Vancouver, and mostly consumed within the local market. The cost and short term availability of these prawns is worth it once you’ve had a taste of them. They are sweet and succulent, often described as being in between the flavour of crab and lobster. They are also very soft in texture so they don’t require heavy sauces or marinades to accompany them, they need the simplest preparation to enjoy them. And with every good meal you need an extra special wine to match! Try our 2013 Le Vieux Pin ‘Ava’ (Viognier/Roussanne/Marsanne). Aromas of peaches mingle with the pleasent subtle bitterness of pink grapefruit rind with a hint of apricot, along with white honey notes on a brioche bun. 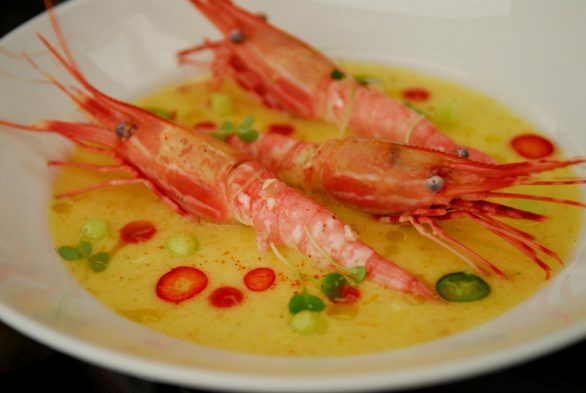 The delicate flavour and medium body will suit the prawns nicely, sip after sip. 1. Keep the heads on if you plan on cooking them right away on the grill, otherwise remove the heads from the spot prawns, as they will release an enzyme that will deteriorate the meat the longer the heads remain attached. 2. Rinse thoroughly and keep refrigerated until you are ready to cook them (up to 3 days), if kept very cold. 3. When you are ready, remove the shell and tail or if you are grilling them keep the shell and tail on. 4. If you are pan frying the meat, be careful not to over cook them – 1-2 minutes per side should suffice! Don’t forget that with any meat it will continue to cook once removed from the heat source. In a hot sauté pan, add a little olive oil. Add prawns and butter. Sauté quickly. Add remaining ingredients and deglaze with white wine. Season to taste. Plate and garnish with microgreens. attend or check out the recipes at 2015 Spot Prawn Festival in Vancouver on Sunday May 17th.